Canadian national team member, Ilka Juk uploaded a video of herself training a never done before acrobatic combo on balance beam. The junior gymnast is training a back handspring to an Onodi to two feet. The Onodi to two feet was originated by American gymnast Shayla Worely. It was previously rated a D but in the 2017-2020 CoP it got upgraded to an E.
Now that it is worth an E, the acro combination receives 0.1 connection bonus. The Worely is one of the most rarely done elements. It is believed that no gymnast has ever competed it beside Worely. Our princess Siyu became the center of the Anta cup competition when she showcased upgrades on all 4 events despite a swollen ankle. Her coach has advised her to withdraw from the competition but she insisted on joining. Siyu debuted her DTY in the competition. It is a bit low due to her ankle but she still managed to land it decently. She scored 5.4+8.45-0.1 = 13.75 on the event. Bars has been Siyu’s forte. This time she surprised us with a new combination of Maloney+Giant 1/1+Tkatchev. She also has an Ono which is really rare among even the Chinese nowadays! She is actually capable of much more than the current routine but the Coach told her to go easy :). She scored 6.0+8.05 = 14.05. Siyu could barely do a double tuck on floor last year due to an injury she sustained the year before. However, she pulled off something amazing this year! Her routine consists of 2 and ½ twists into full twist, and the very typical triple twist into punch front for Chinese girls~ She scored 5.4+7.75 = 13.15 on this event. All around wise, she scored a 54.40 which is really good for a junior! Beyond gymnastics, Siyu also stood out from the rest as she simply exudes so much happiness! She is an extremely popular girl who likes social media and interaction, and is the mirror image of the stereotypical Chinese gymnast who tends to be more reserved. Another rare quality she has is the fact that she trains gymnastics out of pure passion. While the gymnastic landscape in China is changing, it is still rare for children from well-off families to train gymnastics, as it is often considered too hard on children. Siyu, however, is one such girl. 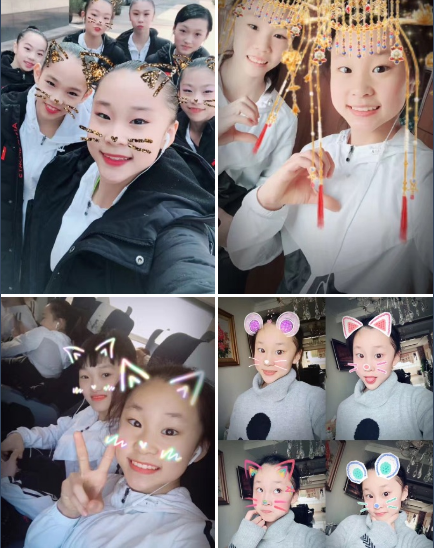 While she come from a really well-off family in Beijing, she is deeply passionate about gymnastics and is one of the most diligent gymnasts in the team. Her upgrades on all four events this year is the best testimonial to that. Junior French gymnast Carolann Heduit performed a very impressively difficult bars routine during a recent meeting where Swiss, British, French, German and Italian gymnasts competed. She competed an Inbar stalder (D) to pike sole circle 1/1 (D) to Maloney (D) to Ricna (E) to pak salto (D) worth 0.5 connection bonus, a Maloney transition with half turn (E), a piked Jaeger release (E) and a double front half out dismount (E). However, the routine suffered from lots of form breaks like bent knees and leg separation. She also missed couple of handstands and had a fall. Hopefully, she can improve her execution before turning senior. Heduit was born in 2003, hence will turn senior in 2019. Sunisa Lee is one of the top juniors in the United States. 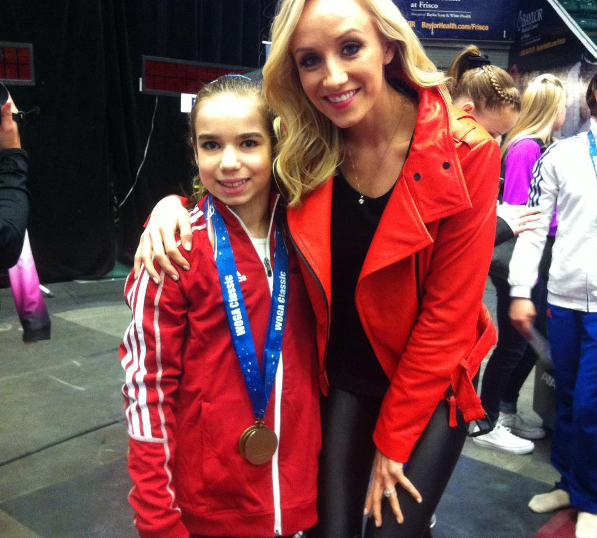 She trains at Midwest Gymnastics Center with Jess Graba. Her favourite event is the balance beam, but she excels on the uneven bars. 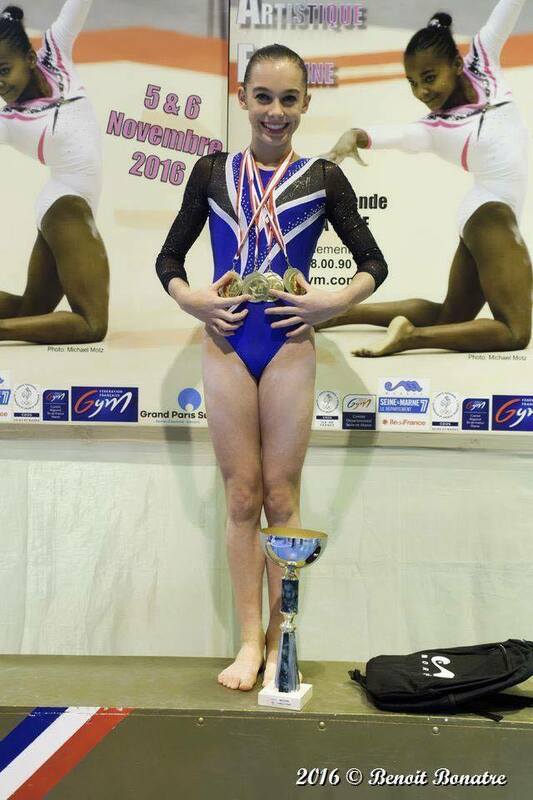 Earlier this season she won a silver medal on bars at the Gymnix International Junior Cup, as well as gold with the team. On bars, she performs the very difficult Nabieva release skill, which is a toe-on toe-off straight Tkatchev, named after Russia's world champion Tatiana Nabieva. Lee is expected to perform the Nabieva at the Secret U.S. Classic later this month. Lee has also posted another video on Instagram showing off an impressive upgrade on floor. She performs a front layout to double front. Lee will turn senior in 2019, a year before the Tokyo Olympics. Once her elite career is over, she plans to compete for the Auburn Tigers, where the head coach is her current coach's twin brother, Jeff Graba. Thirteen year old Ksenia Klimenko of Russia performed a really nice routine with unique combinations on balance beam during the 2017 WOGA Classic. She begins her routine with a switch leap half (D) then does a side aerial (D) to layout step out (C), worth 0.2 connection bonus. She does another combination that is worth 0.2 connection bonus which is a forward handspring (B) to a forward tuck (D). She connects her forward aerial (D) to a sheep jump (C) earning 0.1 connection bonus. A side somi (D) and a switch ring leap (E) are included in her routine which she ends with a D rated double back tuck. Execution wise, there were wobbles here and there. Klimeko turns senior in 2019. Angelina Simakova, who is a junior gymnast, competed one of the most difficult vaults. She competed a handspring fwd on – stretched salto fwd with 1½ turn (540°) off vault also known as Rudi. The vault is worth 5.8 under the 2017-2020 CoP. Simakova, who was born in 2002, will turn senior in 2018. 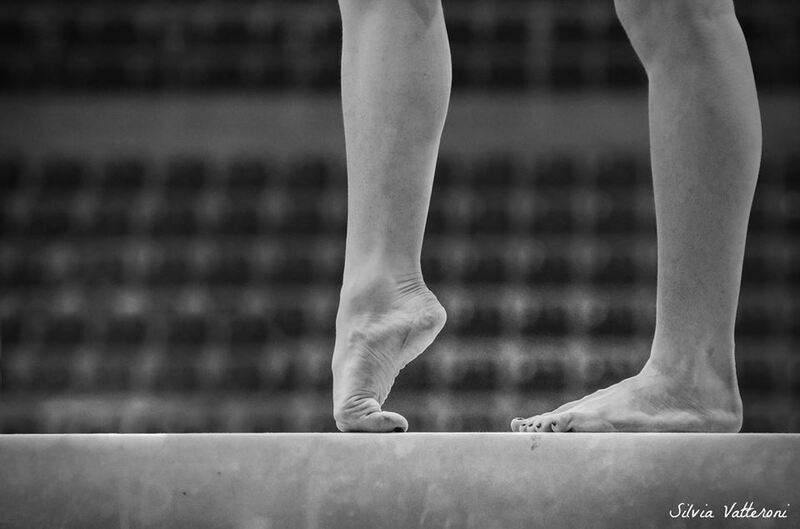 At only 12 years old, Japan's Chiaki Hatakeda performs a balance beam routine like a senior. She competes a G rated full twisting back layout. She earns 0.2 connection bonus for competing it in combination. She does sheep jump (C) and the rarely done Yang Bo jump (D). She ends her routine with an F rated triple twist. The routine was analysed in accordance with the 2017-2020 CoP. Last week, at a junior gymnastics competition in Combs La Ville in France, a young Italian gymnast, born in 2003, won five gold medals out of five. Her name is Giorgia Villa. Villa moved to Brescia last year to train at the Brixia Brescia gym with Enrico Casella, who is also Vanessa Ferrari’s coach. Since then, Villa has grown immensely, and many people see her already as the new Vanessa Ferrari. And they may not be wrong. Villa had a stellar 2016. 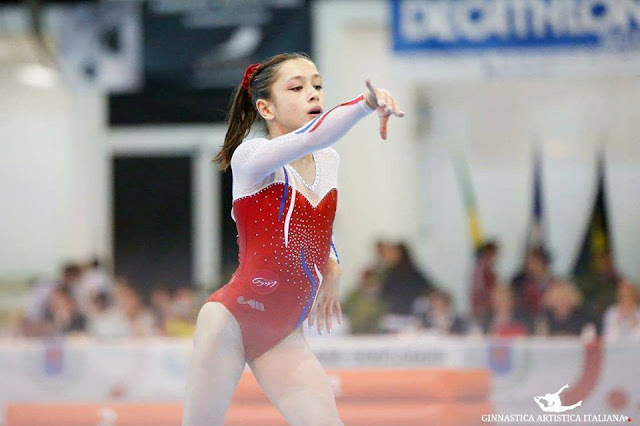 In her junior debut last February, she won the all around competition, beating veteran senior teammates Carlotta Ferlito and Elisa Meneghini. And last week, Villa also affirmed herself internationally, winning five gold medals, in the team competition and in all four events, in Combs La Ville, France. Villa scored 14.400 on vault for a super clean double twisting Yurchenko (she has Italy’s best double twisting Yurchenko ever! ), an excellent 14.500 on bars (again, with super clean lines), 13.900 on beam, and 13.850 on floor, with another secure performance. Her recent successful performances make of it more than a dream. Villa is already training according to her personalized Olympic programme, which, according to her coach Enrico Casella, should bring her to the European Championships in 2018, to the qualifying World Championships in 2019, and to the Olympics in Tokyo in 2020. The future looks bright. A new gym star is born. Japan's Mana Oguchi competed a wide array of unique skills in balance beam at 2016 Nationals. She mounts the apparatus with E rated forward pike. She does a forward tuck (D) to a leap (A), 0.1 connection bonus. She then does a back handspring to a LOSO fulfilling the requirement of''one acro series'. She competes a one and a half Y turn (D) and a switch ring leap (E). She attempted to connect her front aerial (D) to Yang Bo jump (D) which could have earned her 0.2 connection bonus. She dismounts the beam with an unusual dismount, double forward twist (D). Oguchi was born in 2002 and turns senior in 2018. Deanne Soza is a very promising American gymnast who was born on the 24th of September in 2001. Her strongest event is floor exercise. 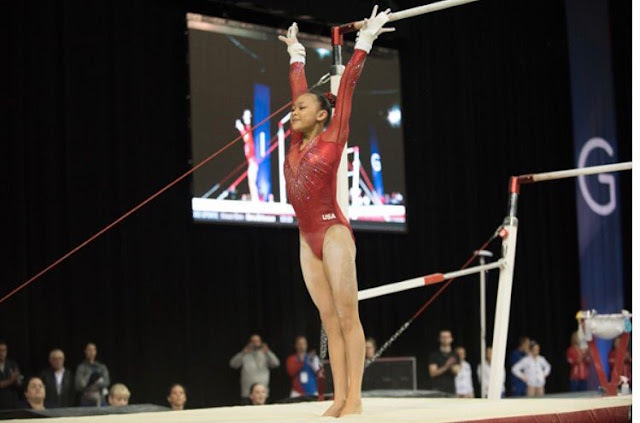 She competed at the this year’s P&G Championships where she placed 6th on balance beam and US Classics where she placed second on uneven bars and third in the all around. 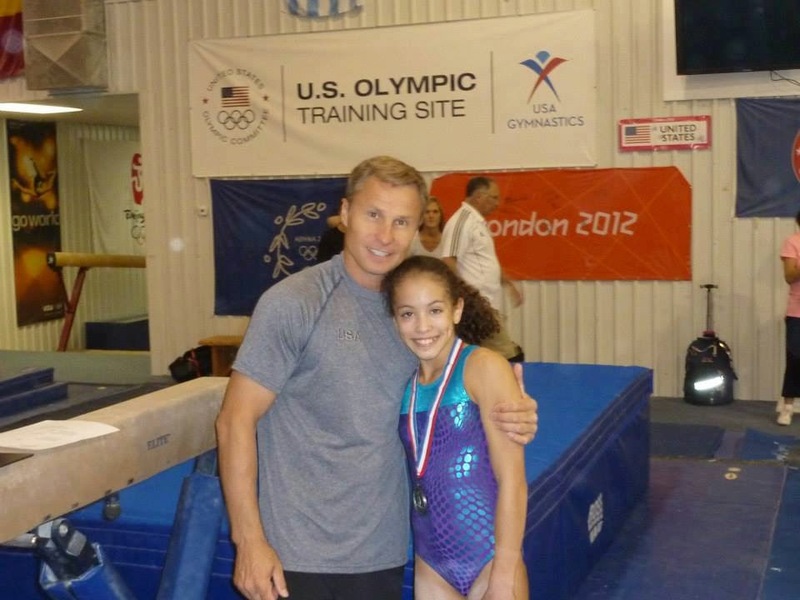 Arete Gymnastics, the gym where Deanne trains, has posted on their Facebook page that the young gymnast has contracted a rare and a very serious eye infection in both of her eyes. Yesterday, the gym reported that at the doctor’s office Deanne was able to see some light and shadow. Our prayers and our thoughts are with her. Deanne will not be legible for the upcoming Olympics, however she will turn senior in 2017. It is shown in this video, Deanne – at the age of 11 – doing some impressive skills and combination with lovely execution, like an Onodi to full twisting back handspring and back handspring to two layout step out on balance beam, a toe on Tkatchev release and a full twisting double layout on uneven bars. Call to the gymternet! The delightful Deanne Soza has contracted a very serious eye infection, which affects obviously not only her gymnastics, but potentially her ability to see. I’m hoping that maybe we can send her something to cheer her up a little. My idea is to take pictures that you, the amazing gymternet, take/draw/create and put those onto a card for her. Maybe it’s a picture of a get well sign that you’re holding up for her, maybe it’s a drawing of her you made while you were bored in class, maybe it’s one of those fancy edits that all the kids are doing these days. Whatever you would like to share that is appropriate and uplifting. There is room for about 30 pictures on the card. Perhaps if we get billions of fabulous submissions, we’ll send more cards. But for now it would be awesome if we could put 30 pictures on this card, and send it to Arete. If you’d like to participate, and I hope that you do because Deanne is incredible, either post your picture here, or email it to me at spannytampson@gmail.com. Gym Power reported that (linked byGymnasticscoaching.com), two young gymnasts from Netherlands were among the 298 passengers who were killed in Malaysia Airlines crash this week. The victims of the crash are Mila Van De Mortel and Sam Wels. GymPower wrote on their Facebook, according to Google translation. According to fsuniverse.net, Sam Wels’ mother (Conny Wel Stuiver) who was also killed in the tragic plane crash along with her husband, was one of the top Dutch figure skaters in the early 1990’s. After her retirement, she worked as a coach and cherographer in the Bossche Skating Association. Malaysia Airlines Flight MH17 which was a scheduled international passenger flight from Amsterdam to Kuala Lumpur, was shot out of the sky as it flew over eastern Ukraine on Thursday afternoon. It is believed that it was shot by separatists in Ukraine.